MANILA — Senators Francis Pangilinan and Bam Aquino on Tuesday appealed for decency as debates over the stealthy burial of the late dictator Ferdinand Marcos at the Libingan ng mga Bayani last Friday continued to light up. This is the only country where a LIE is buried in a cemetery of TRUE heroes. “Pareho pala kami ng type ni Leila,” the Senate Chief confessed. On the other hand, the President, on seeing how Dayan looks like upon his arrest, promised to withdraw the heat on Senator de Lima. “Tapang talaga ni Leila. Saludo ako!” the President said. On the side of the presscon, Gen. Bato asked Dayan, “balita ko Tambucho ka raw?” Dayan denied it. “Ayusin mo ha bata. Baka maging si Ronnie Sayang ka!” Gen. Bato added. “Si Kerwin sinasabi n’ya na hindi totoo ang affidavit ng kanyang father so parang binalewala n’ya ‘yun, ang sinasabi n’ya ito talaga na totoo (Kerwin said that that affidavit did not come from his father, essentially disowning it. 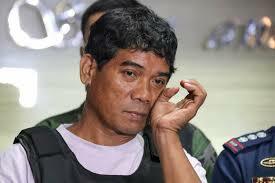 What he’s saying is this one is the true affidavit),” Ping Lacson told reporters. “Si Ronnie Dayan may ginawa na ring 1000 affidavit.” Manny Pacquiao affirms.”Dami isinabit, may Obispo pa,” said the Pambansang Pakialamero. Sandra Cam , ang Panbansang Tsismosa, slept outside of Camp Crame to get access to Dayan. Mocha, ang Pambansang Genius, wants a piece of Dayan. 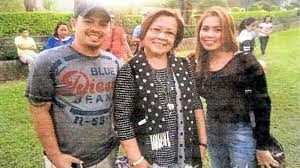 “Tingnan nga natin kung gaano katigas yang…..mamang yan.” the Bombshell said. “The news says that (Vladimir Putin) never laughs. But he was smiling all along. He said, ‘Don’t forget to visit Russia because I have something for you there… I reserved something for you.’ ‘Really?’ I said. ‘Gun,’ he said. He’s obsessed with guns,” Mr. Duterte said on his APEC encounter with the Russian leader. 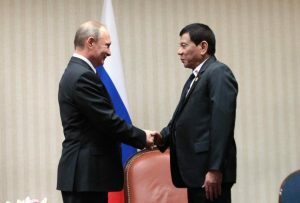 “Nung sabihin ni Putin na “I reserved something for you,” lumaki ang mata ni Presidente. Tapos, medyo sumimangot si Presidente nang sabihin ni Putin na boga lang pala ang nakareserve.” an aide of Bong Go said. Majority leader Ilocos Norte Rep. Rodolfo Fariñas said Dayan would be first presented before Speaker Alvarez and would testify before the House committee on justice. 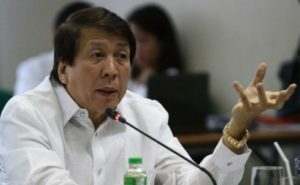 “Pagkwentuhin mo padre kung paanu gumiling…” Farinas was telling Alvarez when the latter interrupted him, “gumiling ng papanu, padre?” “Anu pa ba naman, eh ‘di gumiling ng shabu pang retail sa sachet!” Farinas answered. Could a bit of light reading every day add years to your life? A new study by Yale University found that reading books was positively correlated with increased lifespan — people who read books lived for around two years longer than those who didn’t. A word to the wise: Be more tolerant of the 16M. Their days are numbered.